Dog adoption is the new black. However, the different types of animal agencies that provide homes for dogs are often confused. Hopefully, the following information will help you see where they differ. We will also point you in the right direction and help you find the best places to safely adopt a dog in your area. Animal control facilities (commonly referred to as dog pounds) catch stray and dangerous animals and provide temporary shelter for them. They also educate animal owners, spay and neuter pets, give animals vaccinations, and perform other veterinary care. Animal adoption centers are very much like rescue agencies, with the main focus of finding pets new homes. They also arrange foster pet parents when adoption is not immediately available. Animal shelters house homeless animals that are lost, abandoned, or turned over because their owners can no longer keep them. They also help pet owners locate their lost animals. Some shelters (mostly the public ones) will euthanize animals that have not been claimed or adopted within a certain amount of time or are too ill to be adopted. The factors used to determine which dogs are euthanized include: age, breed, behavior, health, and space constraints. 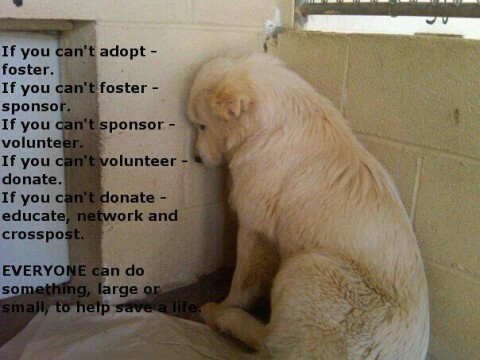 Other shelters (mostly the private ones) are no kill animal shelters. In addition, there are open door shelters which accept all animals, and while they don’t ask for a fee when you turn over animals, they do ask for donations. Most of these animal agencies are run by volunteers and low-paid fulltime workers (especially at the not-for profit agencies). Many rescue agencies and animal shelters work closely with veterinarians and hospitals. Some do their best to not kill the abandoned or un-adoptable pets, but This is why you should consider adopting a dog before purchasing one or even getting a free puppy locally. By the way, boarding kennels are sometimes confused with animal shelters and rescue centers. They are nothing of the sort. A kennel or dog boarding facility is what you use when you want to go on vacation. Pet owners pay a daily fee to board their dogs where they will have a clean safe place to sleep and room to play during the day. Animal hospitals also provide pet boarding services, but my experience is that you do not want to take well animals to board in a place where there are sick animals — because you are likely to get sick animals back. So… what would it take to get you to take home a shelter dog? Here’s why you shouldn’t hesitate to adopt a dog. There are hundreds more, but those are some of the best. To find a local animal shelter in your area, check out the ASPCA Searchable Database or the HSUS State Directory. Another great resource is the Animal Shelter Directory.